I love when an image or photography articulates exactly how you feel...even if you didn't realize you felt that way. 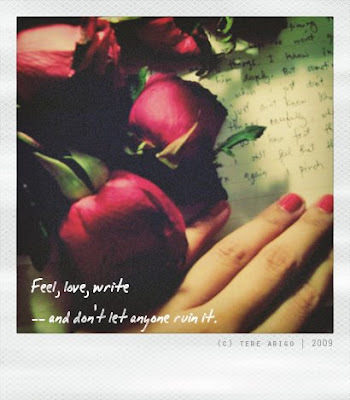 I encountered this feeling while looking through Tere Arigo's amazing Thresca Flickr and Tumblr page. 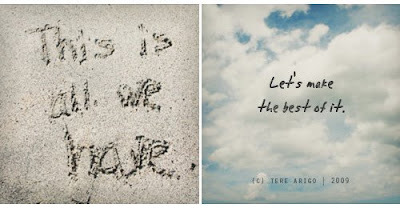 Tere's distressed Polaroids and genuine quotes create a heartfelt and everlasting impression. Her photographs make it easy to be happy, thankful and love life to the fullest. Truly inspiring and talented - I look forward to seeing more from Thresca! Some day I will build a house by the sea resonates with me! I was lying in bed wishing I could hear the sound of the ocean! I feel the same way...wouldn't it be wonderful?! Oh, these do make me happy. :) Thanks for that. these are beautiful. i will visit her. Uplifting and inspiring, and not in the least bit cheezy. Love 'em. So agreed! And your choices of pics do exactly that. "Even if you didn't realize you felt that way" That's exactly what I was thinking! "I love when an image or photography articulates exactly how you feel...even if you didn't realize you felt that way." - i love it when that happens, too! 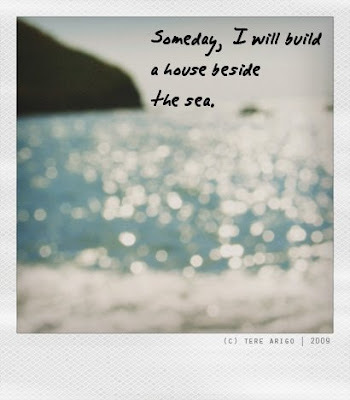 To build a house by the sea--how I love that idea. AMAZING and i too want a house by the sea.... someday...until then, rent one! Beautiful... I love the top one. It is what I think everyday... and someday I will. I love that sentiment: don't let anyone ruin it. I think all young artists should be given this mantra! adore these photos. so lovely. That first photo captures the feeling I've been having all summer!